Sometimes The Bf likes to contribute to the blog. He offers some terrible ideas like Daisy Duke day or fashion ponchos (no like the plastic ones) but sometimes he thinks out of the box and we go with it. Today, its birds. Bird print. Summery, feminine, and today dresses. 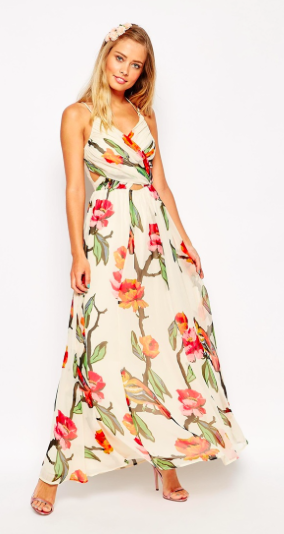 A beautiful dress to wear to an outdoor summer wedding. I love the layered chiffon on the bust. This price tag you guys. It's insane. 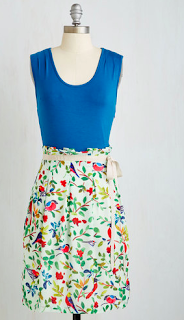 Just a great summer dress that is simple and affordable. 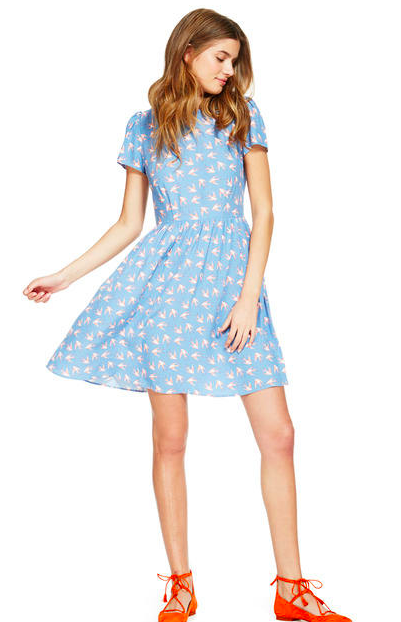 How casual and sweet is this dress? I love the contrasting built in tee that perfectly compliments the print. 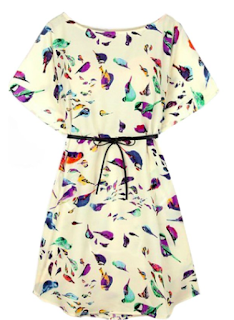 Fitted through the top and a fun flared skirt makes this dress easy to dress up or down. 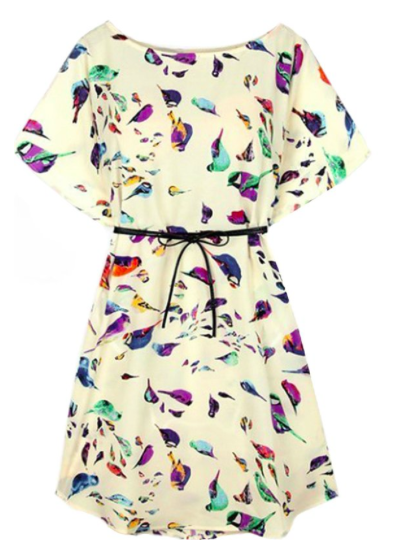 So fly away with fashion and have some fun with an aviary print that is perfect for summer.